In the instrumentation industry, the market development situation of special instruments and testing equipment is excellent, and the industry has a high degree of prosperity. 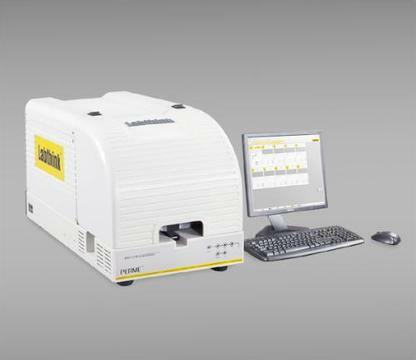 In particular, the self-developed automated testing equipment is widely expected. With the in-depth adjustment of the economic structure, the report of the National Energy Conference has brought opportunities for the development of instrument-related industries in China. The domestic instrumentation industry presents new changes. Although China's instrumentation industry has achieved rapid development, but in the areas of automation control systems and field instruments and key precision testing instruments, we still have a big gap with the international advanced level. The situation in which medium and high-grade instruments rely mainly on imports remains unchanged. Therefore, the development goals of China's instrumentation industry in the future are to achieve, catch up, and lead the world. Detection equipment, optical instruments, energy meters, variable resistors, drivers, filters, heat exchangers, displays and other types of products, market share accounted for a larger proportion of the transaction. At present, the application of instrumentation in our country is ubiquitous, and the demand for the instrumentation industry in the market is gradually increasing. Due to the rapid development of domestic small and medium-sized domestic enterprises, a series of changes are taking place in the experimental instrumentation market. The domestic market demand analysis test instrumentation product application face is extremely widespread, each industry's test equipment is the first largest user of the instrumentation product. The investigation and analysis report from the domestic instrumentation industry pointed out that at present, user demand is expected to have large room for growth in experimental metering and instrumentation systems. The market's demand for precision meters will tend to shrink, and the overall demand for portable meters will also decrease. The requirements for this product are mainly focused on the appearance of the instrument, structural design, expansion of application areas, and improvement of reliability. The focus of digital instrument development is to improve reliability. At present, the domestic production capacity of electrical instrumentation products has been seriously excessive, and the entire industry is in a state of low profit. However, the cost-effectiveness of some high-tech products will have a clear competitive advantage compared with the old products.